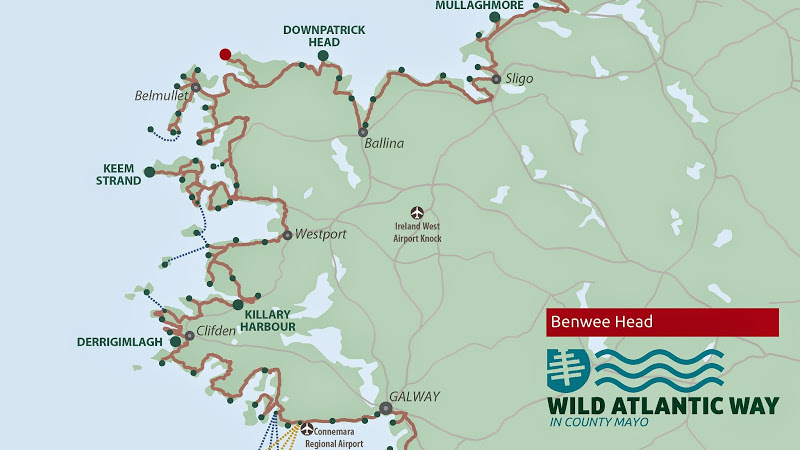 This Dicovering Point offers some of the most dramatic coastal scenery on the Wild Atlantic Way and commands spectacular views on majestic cliffs, rugged headlands, rocky coves and jagged stacks. The cliffs, seen from the sea, give the real sense of impressiveness. Benwee Head at 255m is higher than the Cliffs of Moher.